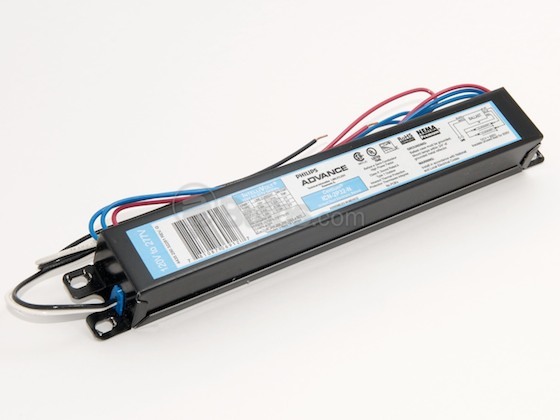 There are two categories of ballasts – magnetic and electronic. Magnetic ballasts are the most basic type and operate bulbs through a core and coil transformer. Electric current flows through coils of copper wire before reaching the fixture and bulb. The coil system provides the minimum amount of electricity needed to start and operate the bulb, while the flow can sometimes be inconsistent. This can lead to flickering bulbs and a low buzzing sound, which are two common problems. If you’re experiencing either of these issues, it can often be explained by an inconsistent current moving from the ballast to the bulbs. These problems are specific to magnetic ballasts, the best solution is to upgrade your ballasts to high-frequency electronic ballasts. They are easy to install and offer tremendous benefits. Electronic ballasts have electric circuitry components instead of the core and coil system found in magnetic ballasts. The electronic ballast is much more common now because it has several advantages over a magnetic ballast. Electronic ballasts are smaller, lighter, quieter, and offer increased efficiency. They have a stronger, more consistent electric flow and perhaps most importantly, can be used to control multiple bulbs within one fixture, if you use magnetic ballasts it is common to use one ballast per bulb. Low-frequency ballasts, also called ‘hybrid’ ballasts, are essentially magnetic ballasts with added electronic components that increase the energy efficiency by switching off the voltage moving though the coil during operation. Its more advanced magnetic core and the reduced energy level supplied during operation make the low-frequency option a more energy-efficient version of the simple magnetic ballast, although they are still not as efficient as the electronic ballast. A further upgrade is the high-frequency ballast, which is an electronic ballast that supplies power frequencies at about 20,000 Hz. This is the most common type of ballast because it consumes up to 30% less power with the same light output compared to a magnetic ballast. This increased efficiency is obtained through lighter, more complex electronic circuitry. It is the best option for most applications in your business. The final type is the digital ballast. The terms digital and electronic are often used interchangeably in the lighting industry, but this is a slight misconception. A digital ballast is a type of electronic ballast with additional capabilities. They are considered to be “smart ballasts” because they can differentiate between the type of bulb connected and can be programmed to monitor the performance and failure of a bulb. For more information check out the Bulbs.com Learning Center section on ballasts. If you have additional questions or are interested in purchasing ballasts call the Bulbs.com Lighting Specialists at 888-455-2800.